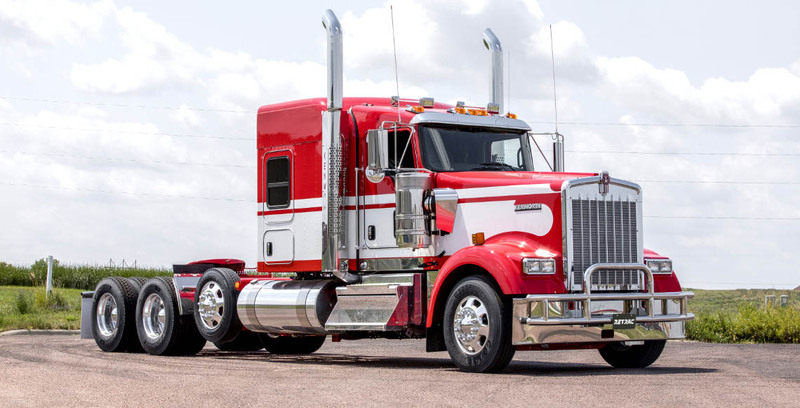 When it comes to your livelihood, investing in long-lasting truck accessories and a professional look is always worthwhile. 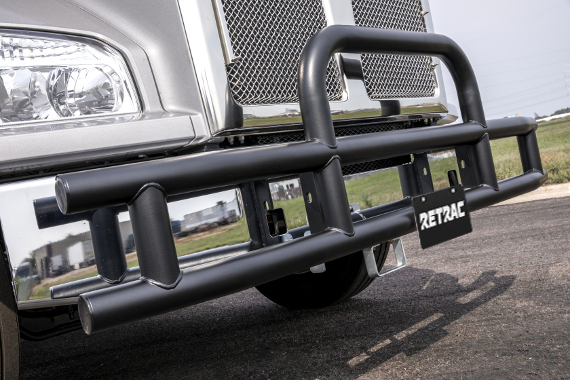 The RETRAC Tuff Guard® grille guard offers excellent protection for the front end of your heavy-duty truck, featuring welded, 3" diameter tubing, stainless steel construction and a no-drill, custom fit. 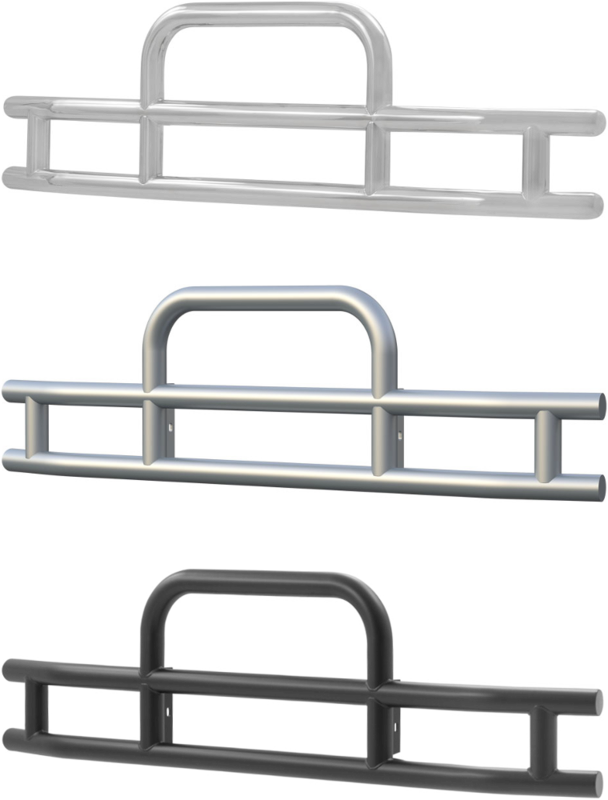 The Tuff Guard® is built give you the front-end protection you need to get the job done with confidence. It features a double-stacked design of 14-gauge stainless steel. The 3" tubing is welded together into a low-rise design for superior structural integrity and a sleek, professional look. The grille guard is also equipped with side brush guards to fully protect bumper, and it has a center brush guard to add more protection for the grille. 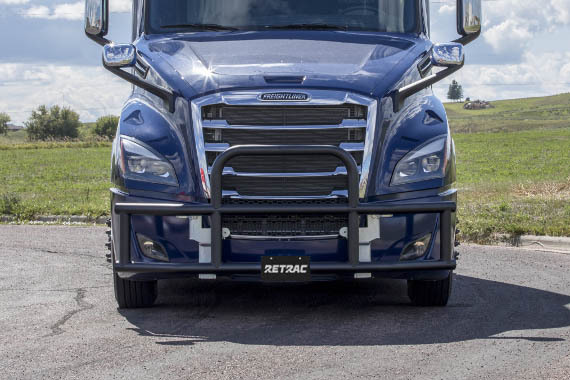 Wherever the road takes you, harsh elements are a constant threat, but the Tuff Guard® grille guard helps maintain professionalism for your truck and business. 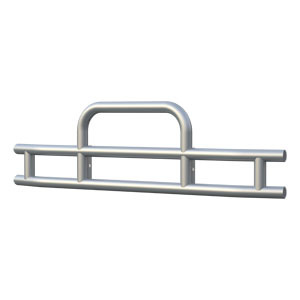 Each Tuff Guard® is made with stainless steel for maximum rust resistance. It is also available in three finish options, giving you the freedom to select the look that best complements your unique truck. The polished stainless steel finish offers a bright, mirror-like shine, while the textured black and silver powder coat finishes offer maximum corrosion resistance. The Tuff Guard® not only protects the front end of your truck with its heavy-duty welded design and rust-resistant construction; it also features a convenient fold-down system. Built into the mounting brackets, this fold-down feature allows the entire grille guard to fold away from the grille and provide easier access to the hood and engine compartment. The fold-down system is available with our patented MagLatch™ mechanism, featuring strong, rare-earth magnets and a retaining safety pin to securely hold the grille guard in the upright position. 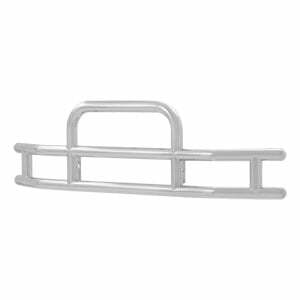 The MagLatch™ resists vibrations during travel, and it allows easy fold-down of the grille guard whenever necessary. 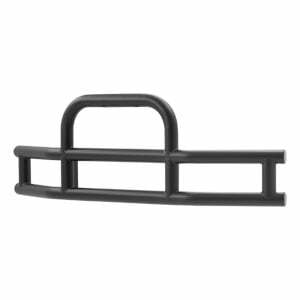 The Tuff Guard® grille guard comes in two configurations for a vehicle-specific fit on each application -- a 15-degree bend and a 25-degree bend. For each truck, one of the two configurations is recommended, allowing the bent ends to optimally contour to the front end. 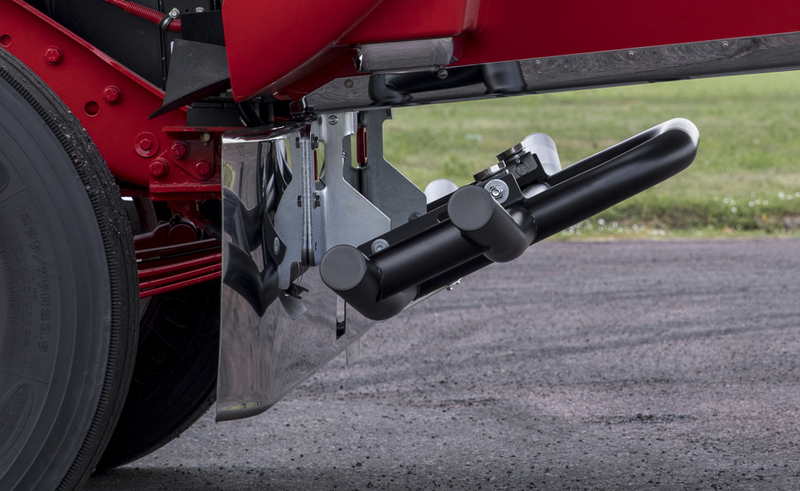 Each truck application also uses a set vehicle-specific brackets to mount the grille guard. This ensures the quickest possibly installation with no drilling of front-end modification required.